Corneliani opened day one with a neutral palette of grays, black, and forest green that were stronger compared to its spring collection. Button-down shirts under knits, layered over soothing suits and coats were inviting. 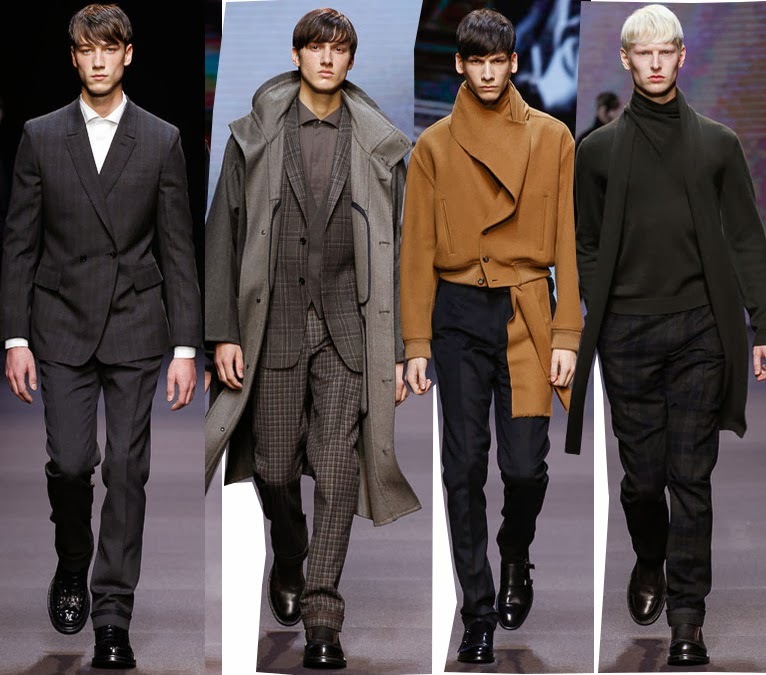 And even though, these masculine tailored coats may have been something we have already seen before from other designers, there were two major pieces that spoke to me specifically: intricate knitted sweaters and youthful zipped jackets. 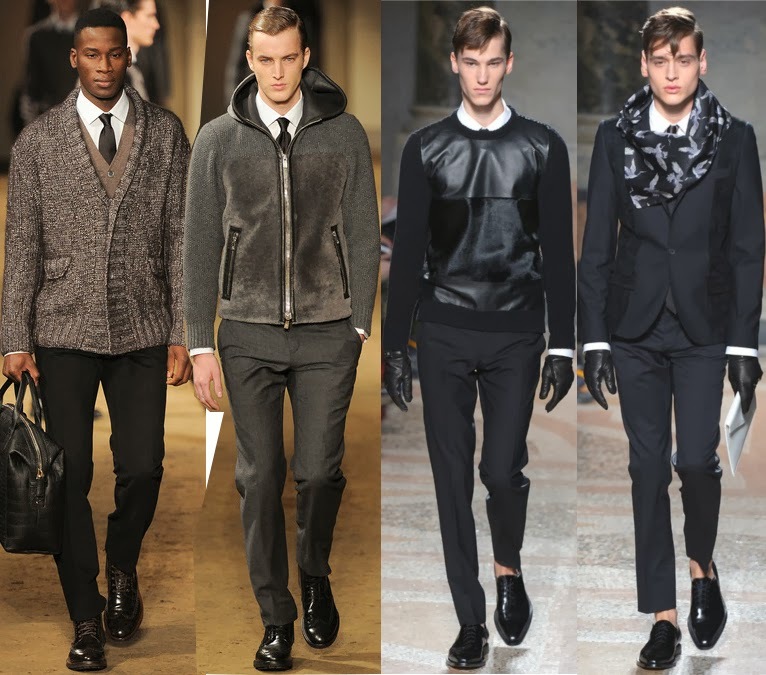 Les Hommes also offered sleek styles of suits and sweaters – such as the ones with generous patches of leather - that went from casual-formal to head-to-toe partywear, like were there lustrous silver graphic bomber jackets. Accessories - leather gloves and silk scarves - made the looks more pleasing. Stefano Pilati was perhaps one of the designers who set an even higher and polished presentation for his second round at Ermenegildo Zegna. We know this designer is famous for his relaxed and confusing silhouettes that turn out to be apt for the everyday man; only he can master it. It is no wonder why Zegna chose someone who could give new character to the brand who once used to be conservatively rich. And Pilati understand that superbly well, giving it new twists of colors – mustard and burgundy - and muted plaids for his new fall collection. He sent out a series of cozy oversized and draped, cocoon-like double-breasted overcoats that none the less conveyed true luxury in enticing wools and cashmere, which looked even richer close-up; it wasn't just wool, but a specially made fabric. Others included quilted jackets, a furry bomber, and double-faced tailored coats. Suits were nothing about a plain navy or gray suit. They were sumptuous in details with ghostly faded prints, adding more excitement to the Zegna man. But his plaid pants were probably what earned him points. The manner in which he paired a dark green long sleeve scarf-neck sweater (2-in-1) with a pair of these tapered trousers and black boots screamed sophistication at the highest level for the brand in a mien couture. Pilati is the man for the job. 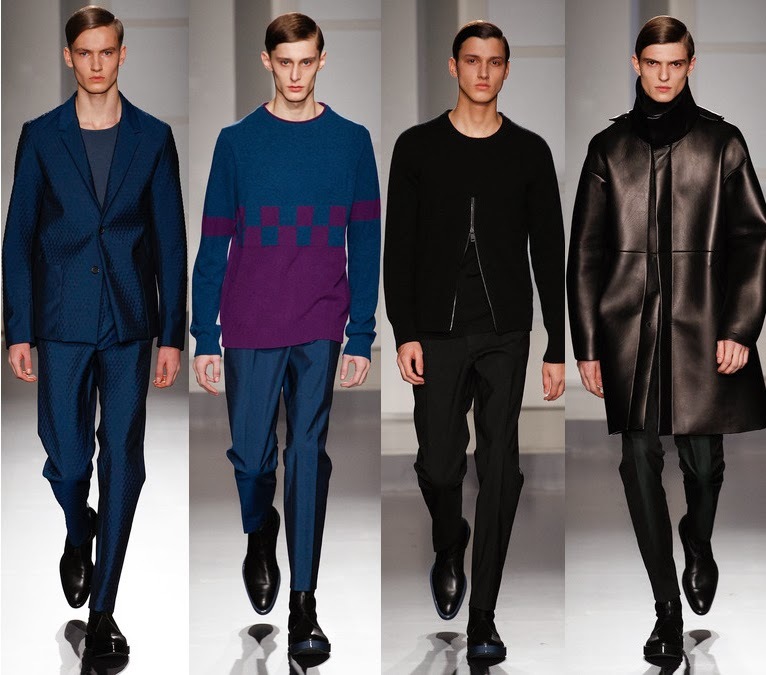 Jil Sander also presented its new collection without a head designer. The “team” was in charge of coming up with a safe yet youthful, minimalist, and lustrous presentation that was held today in Milan. The show began with one color head-to-toe suits that made you enjoy more its form of construction and texture to boxy-cut leather jackets. It became shortly an odd collection, where the only things worth an eye for were its graphic sweaters and jackets – spliced from the mid-chest to the hem to full-on leather. Sometimes a brand does indeed need a head designer to execute things well.